When you or someone you love is going into the hospital for a serious procedure, you may have concerns about whether the procedure will be successful or how quickly recovery will come. However, there is another serious threat faced by those who will spend time as an inpatient in a hospital: whether or not they will incur an infection. Hospital-based infections are substantially more serious than those incurred on a day-to-day basis in public, and the vast majority can be prevented by responsible medical personnel. Learn more below about infections transmitted in medical facilities. 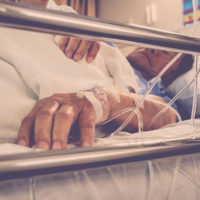 The Centers for Disease Control and Prevention (CDC) reports that one in every 25 patients in a hospital is suffering from an infection they received while an inpatient. Each year, this results in 650,000 individuals incurring a healthcare-associated infection, and 75,000 of these infections results in death. This makes hospital-based infection the eighth-leading cause of death in the United States. The reason these infections are so often fatal is because of the particularly-potent strains of infection often passed in healthcare settings. For example, MRSA and C. Difficile are two forms of bacterial infection that are commonly found among hospital patients, and both of these are not easily treated by common antibiotics, either due to resistance or adverse effects of treatment with antibiotics. Doctors and other hospital staff have an obligation to use established best practices to prevent the spread of infection in hospitals. Should they fail to take reasonable steps to avoid spreading infection between patients, and you or your loved one receives a serious infection as a result, then the hospital may bear financial liability for the cost of treatment. If you or someone you love has received an infection after time spent in the hospital, consult with an experienced and compassionate New York personal injury attorney about whether you may have a claim for money damages, and contact the Manhattan offices of Leandros A. Vrionedes for a consultation on your case, at 212-889-9362, or 718-777-5895 in Queens.